Tsumeb is located at 19�' southern latitude and 17�' eastern longitude, and lies 1 310 metres above mean sea level. Windhoek, Namibia's capital city, is 380 km by air and 435 km by tarred road. The total population of Tsumeb and the region is estimated at 22.500 (12 300 male and 10 200 female), of whom some 15 970 live in the town itself. Tsumeb has a subtropical climate, with very hot summers and mild winters. The mean maximum temperature lies at 29,7� C, while the mean minimum temperature is 14,4� C. Occasional thunderstorms occur during the summer rainfall months, October to March. The average rainfall is 555 mm per annum. The town is well known for its copper and lead smelters. Tsumeb boats the biggest lead-producing mine in Africa, and is the fifth largest lead producer in the world. A standard-gauge Trans Namib rail connection links Tsumeb with Windhoek, Walvis Bay and the Republic of South Africa. 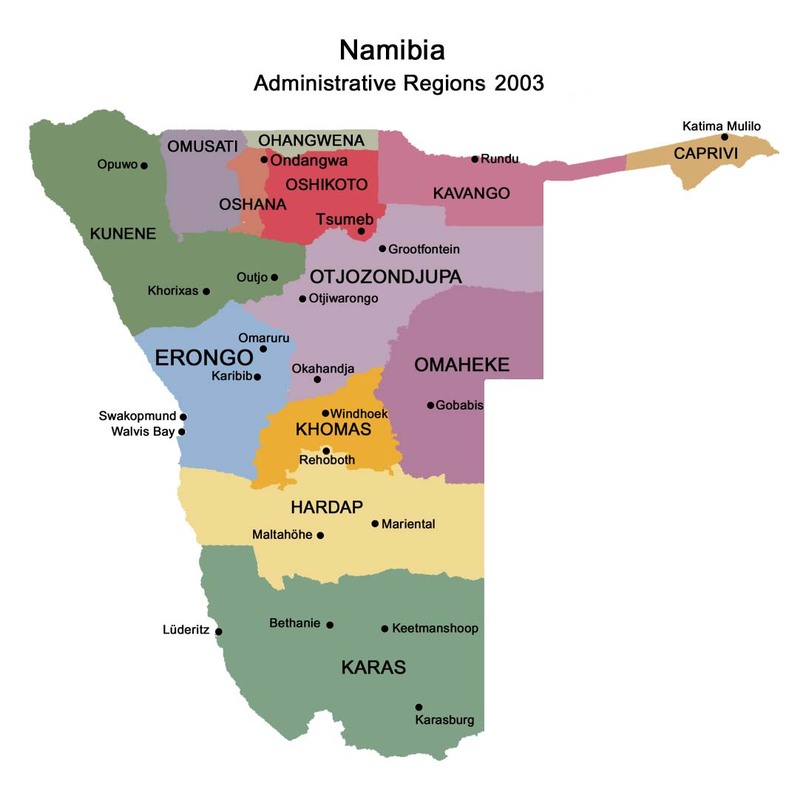 We are inextricably part of northern Namibia, and commit ourselves to promoting the concept of a unified regional approach in order to achieve our objectives, which is possible with the existing structures. We will strive for the upliftment of all our people, be it financially, technically, intellectually, spiritually, physically or culturally. We know that the region has the potential to maintain its position as the hub of northern Namibia in the fields of agriculture, tourism, education, administration, industry, commerce, recreation and culture. We believe that agriculture is the primary economic sector that will facilitate the execution of a viable and sustainable economy and provide both entrepreneurial and employment opportunities. We do realize, however, that the region's tourism potential must also be utilized to the full. We are convinced that Tsumeb is the gateway to the North as a whole, and that it can serve as the prime locality for attracting appropriate industrial and commercial enterprise, and for exports to other African countries and elsewhere via the Trans-Caprivi Highway. We also believe that, in order to achieve these goals, we must liaise closely with especially the Government so as to avoid costly duplication. Ample quantities of water are available. Tsumeb has a well-developed and maintained road network and aerodrome system. 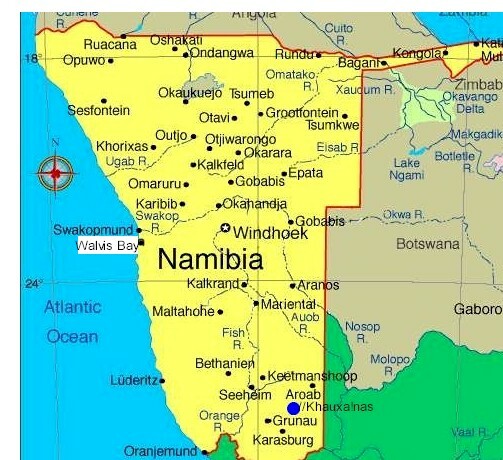 Per capita, Namibia has more kilometres of road than any other country in Africa, including South Africa. Additional prominent features of the country's road-transport network include the excellent North-South axis between Angola and South Africa, respectively, as well as the routes to the West Coast (Lüderitz, Swakopmund and Walvis Bay). Tsumeb is linked to TransNamib's railway network, and there is a siding adjacent to the industrial section. Transport further north (to Owambo and Angola) is, however, only possible by road. The town's sewerage disposal works currently operate below capacity, largely due to the fact that it does not receive industrial effluent. There is an automatic exchange facility at Tsumeb, and this is to be connected to an electronic system towards the end of 1992. International communication is possible by either microwave or optic cable, which compares extremely well with First-World standards. Tsumeb and the region have a cosmopolitan community. Although the official language is English, a great number of people speak Afrikaans, German, Portuguese, Owambo, Herero and Damara/Nama. In all, seven primary schools cater for pupils at Tsumeb, while secondary schools such as Otjikoto and Etosha High School compare favourably with any other secondary school in Namibia. The Adult Education Centre, which resorts under the Ministry of Education and Culture, fulfils a major task in enabling adults to further their education. The Tsumeb Corporation Limited's Apprentice School is a well-equipped training centre that produces 60 new artisans annually. These are mainly electricians, fitters and turners, boiler makers and mechanics. Tsumeb provides for many different faiths, and 19 denominations are evident in the region.